The Roadmap to Our New Century is the strategic plan of the University of Miami as it approaches its centennial in 2025. It proposes a detailed set of actions that will enable the University to achieve its greatest aspirations. Guided by its mission to transform lives through education, research, innovation, and service, the University of Miami will invest in its people—faculty, students, and staff— so they can mobilize the power of knowledge to better understand and address the most important challenges of our times. 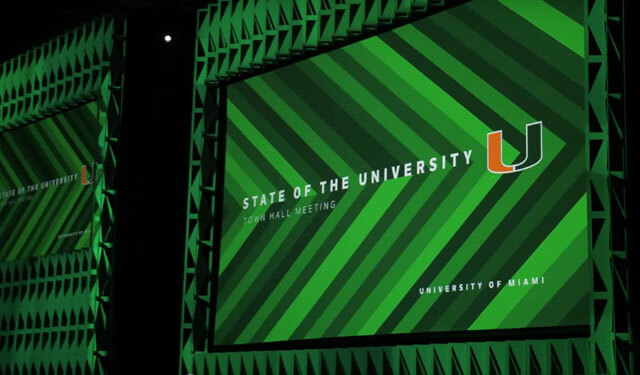 At the University's inaugural State of the University Town Hall Meeting on Sept. 17, President Julio Frenk detailed the strategies of the Roadmap to Our New Century, the plan designed to transform UM into a top comprehensive research university. Watch a short video of the event or the complete archived broadcast.